Appearance & Clothing: Catherine is not very tall, nor very small, is rather slim, but not just skin and bones, “healthy” or “fit” would best describe her. Her skin is pale, but not white and she wears almost no or little makeup. Her long auburn hair is an eye catcher, together with her big blue eyes, but other than that she most likely appears rather average. As a former student, she prefers a professional and clean set of clothes, fitting the Yorknew business-style. This usually includes a clean white shirt and tie, even when she prefers to wear the tie loose instead of perfectly tied. 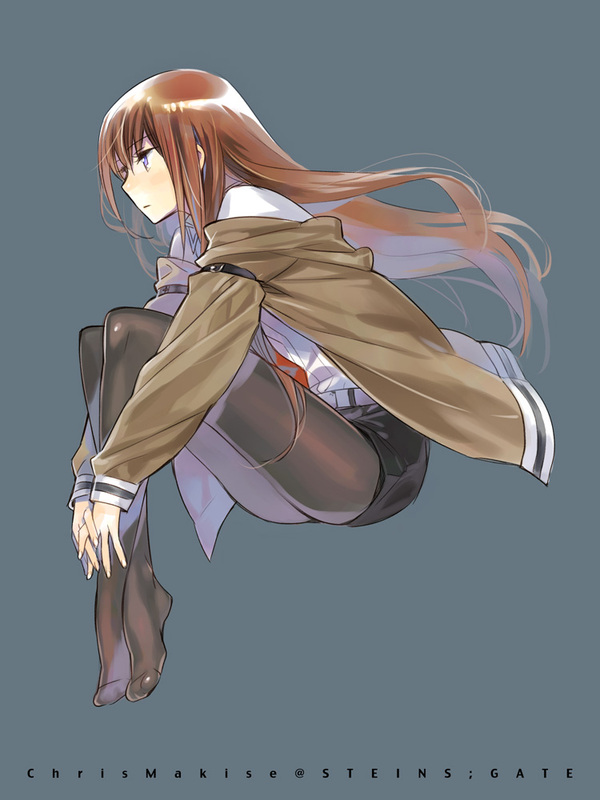 Often she can also be seen wearing a brown coat, which she got from a former professor or even a lab coat. Both things she owns since having left university and holds very dear. Her lower half also follows the professional Yorknew style. She has at least ten identical black pantihose and matching skirts, but also some business pants. The shoes she owns range from high heels to sneakers, but when she is away from home she usually sticks to just her favourite pair of boots. Special Features: Always maintains a proper appearance. Origin: Catherine was born and raised as first of two children of the upper-class, once minor royalty, Redfen family on the outskirts of Yornew. As student of the University of Yorknew City she completed her studies at the age of 24 with a degree in Chemistry and Physics. Sixty years of age and one of the big businessmen of Yorknew, who hardly interacts with his family. Rumours say he has strong connections with the local Mafia. Last seen by Catherine at her university graduation ceremony. Prefers Roy as the heir of the family over Catherine. A woman of unknown age, which strongly resembles Catherine, despite the difference in age. Loves her life in luxury and especially higher class parties. Catherine regards her as a typical “old-model trophy-wife”, who's regular invitations to brunch she kindly denies. She also owns a cat who somehow keeps ending up in trouble. Fifteenth years younger than Catherine the connection between the siblings is not very good and the very active and outgoing boy seems to have trouble when interacting with his older sister, who has equal trouble expressing her feelings for the young boy. Catherine's Chemistry and Physics professor in one, he was one of the most famouse professors at the University of Yorknew City, till his disappearance. His current location is unknown and his former seat at the university remains empty. Catherine remembers him as a very kind, yet strict person and respects him greatly. Personality & Behaviour: Catherine is the kind of fickle girl that only follows her own mind. This means she only pursues topics of interest to her and only puts work into something when it is to satisfy that interest. Her whole value system is based on her curiosity. If she were to show interest in the reaction of a burning cat, she would not have any problem to set a cat on fire, but such things are not something one needs to see in person or actually do to find the result. One can expect the reaction of most lifeforms to be similar to pain, which means she is no psycho that would resort to cruelty. Instead she would need to be unable to predict something to resort to tests. Her latests interest for Aura, Nen and the Hunter Association has lead her to become much more interest in combat and her own limits, which are something she can hardly predict. Therefore she is always willing to test her and her opponents abilities. In general things of interest include everything unpredictable or outside of her knowledge. This can range from human behaviour and history, to strange creatures. When she is not busy learning about interesting things, she could be considered a rather normal city girl: She enjoys a good chat, especially if she can learn something new, loves coffee and dislikes long walks and likes to keep a proper and clean appearance, since that is how she was raised. One would consider her maybe a bit too friendly for someone from Yorknew, but also a bit strict sometimes. Especially when something she has to do bores her, her mood quickly changes for the worse. Lastly she is not someone that boasts with her knowledge or other abilities, but she dislikes people that show to be intentionally ignorant. Strengths & Weaknesses: Her biggest strength is her stubborn dedication towards topics of interest. Once her curiosity is awoken it raises her motivation and focus greatly and lets her go on even if things become difficult. This also results in her biggest weakness, if something does not interest her she can hardly summon any motivation or energy for it at all. Such things are mostly everyday topics or things she already knows. Another strength she acquired over many years of studies and travel, is a vast knowledge of the world, including an university degree in physics and chemistry. Sadly this only includes the world known to a normal human and she has almost no clue about the things possible with Aura or the world of Hunters, which surpass her logical thinking. In return this makes these things especially interesting of course! Lastly she is proud to have never tripped over her own feet, but not being a total klutz can hardly be called a strength. Goals: Catherine has no real goals, as soon as she finds something that peaks her interest she follows it, till she loses interest in it. Her tendency to get curious extremely easy, often makes her jump from one activity to the next. Her latest interest is to learn more about Aura and Nen, hence she plans to become a Hunter. She feels like a whole new world and a all-you-can-eat buffet of interesting things is awaiting her connected to it. It is hard to believe when Catherine says it, but from her birth on she felt a certain difference between herself and the other two parts of her family. Her mother was much louder than the newborn and she hardly saw her always busy father. Birthdays were something she strongly remembers, being placed in a room with other children of similar age, parents in fancy dresses sitting around and comparing them like new jewellery. At some point one or multiple of the other children would start to cry. She felt no joy in interacting with the other children and hardly understood their tantrums. Then after a while her mother would pick her up and she had to open up gifts or hand gifts to someone, it usually were expensive toys or dresses. The women surrounding the pack of toddlers showed much more excitement about the content of each box, than any of the small people. Once this was all done the parents separated themselves from the children and drank sparkly liquids, while the children were ordered to play together. Even at a very early age Catherine enjoyed reading more than playing with dolls, which for some reason always ended up re-enacting dramatic family events. “How could you cheat on me with your secretary?” or “No hunny I did not look at the poolboy like that!” No one present in the room understood the words parroted, which made it even more stupid in the young Catherine's eyes. The first time she actually went against her mother's wish was her own fifth birthday, where she just locked herself in her room and refused to take any guests. Instead she just read books, napped and read some more till the noise left the house. Her mother had already forgotten the reason for the party, thanks to the sparkly liquids and was happy to have dinner with her daughter. Other than one would expect Catherine's next step was not to grow more rebellious or started to boycott every birthday party. She was surprisingly satisfied with just succeeding once. Maybe it was just that she was curious to see how her mother would react? Even at a very young age she showed great curiosity, far beyond that of the other girls around her. When the children played she instead observed them and when she had enough of that she observed the adults, following that came the many small dogs, the staff, the flowers in the garden, the clouds, the snail crawling up the side of the house... then a while longer the snail crawling up the house... and some more... next the bird caring a too slow snail away in its beak. It was not surprising that she showed equal interest in studies. In her first year she had trouble holding herself back from not finishing every problem in her textbook. Her father was pleased, her mother showed difficulty understanding the girl and her interest in studies. Over her years at school the difference in interests between Catherine and her mother grew wider, while her father was happy as long as she did nothing to shame his name. In her teens her field of interest grew wider, being somewhat good looking she had no trouble finding a boyfriend and even explore the different aspects of relationships. She had no problem just leaving a man once her interest was satisfied either and then, if necessary, look for another one. Catherine mostly cared about learning new things. Which also caused her to try all sorts of sports, climbing, sharpshooting, karate, swimming, tennis and even more dangerous sports like bungee jumping and paragliding. Each for not very long. By the time she reached university people considered her a jack of all trades, but master of none, able to do almost anything asked of her but nothing to a high level. This caused her to pick Chemistry and Physics, two subjects with enough depth to keep her busy for all her years at university. She would also have picked Biology, but during the same time she found her first book on Aura and Nen, which was an equally deep, yet much more interesting, subject in her eyes. She took great joy in studying and soon became one of the best in her class. If she had wanted she could have fished university much sooner, but she took multiple chances to travel. It was one of the few things for which she was thankful to her parents. With twenty-four she finished her thesis on the phase of matter. Proud of her work, the first thing on her mind was to start working towards her doctor title together with her professor, but he had suddenly disappeared without a word. Left with no guidance for her future education she decided to focus on her studies of Nen and Aura, which lead her towards the Hunter Association. Also somewhere in that time her brother was born, but she had seen young children before, which made him not very interesting... Though she still somewhat liked him. Nen Theme: "Density" – Can manipulate density on macro or micro level. Thereby also change the phase of matter between solid, liquid and gas, by manipulating density on a molecular level. First come, first serve. Approved and starting EXP added. [b]Appearance & Clothing:[/b] Catherine is not very tall, nor very small, is rather slim, but not just skin and bones, “healthy” or “fit” would best describe her. Her skin is pale, but not white and she wears almost no or little makeup. Her long auburn hair is an eye catcher, together with her big blue eyes, but other than that she most likely appears rather average. [b]Special Features: [/b]Always maintains a proper appearance. [b]Origin:[/b] Catherine was born and raised as first of two children of the upper-class, once minor royalty, Redfen family on the outskirts of Yornew. As student of the University of Yorknew City she completed her studies at the age of 24 with a degree in Chemistry and Physics. [b]Personality & Behaviour:[/b] Catherine is the kind of fickle girl that only follows her own mind. This means she only pursues topics of interest to her and only puts work into something when it is to satisfy that interest. Her whole value system is based on her curiosity. If she were to show interest in the reaction of a burning cat, she would not have any problem to set a cat on fire, but such things are not something one needs to see in person or actually do to find the result. One can expect the reaction of most lifeforms to be similar to pain, which means she is no psycho that would resort to cruelty. Instead she would need to be unable to predict something to resort to tests. Her latests interest for Aura, Nen and the Hunter Association has lead her to become much more interest in combat and her own limits, which are something she can hardly predict. Therefore she is always willing to test her and her opponents abilities. [b]Strengths & Weaknesses:[/b] Her biggest strength is her stubborn dedication towards topics of interest. Once her curiosity is awoken it raises her motivation and focus greatly and lets her go on even if things become difficult. [b]Goals:[/b] Catherine has no real goals, as soon as she finds something that peaks her interest she follows it, till she loses interest in it. Her tendency to get curious extremely easy, often makes her jump from one activity to the next. Her latest interest is to learn more about Aura and Nen, hence she plans to become a Hunter. She feels like a whole new world and a all-you-can-eat buffet of interesting things is awaiting her connected to it. [b]Nen Theme:[/b] "Density" – Can manipulate density on macro or micro level. Thereby also change the phase of matter between solid, liquid and gas, by manipulating density on a molecular level.